Conserving land from commercial and residential development is a growing challenge in today’s atmosphere of rising land values and increasing fragmentation of land ownership. 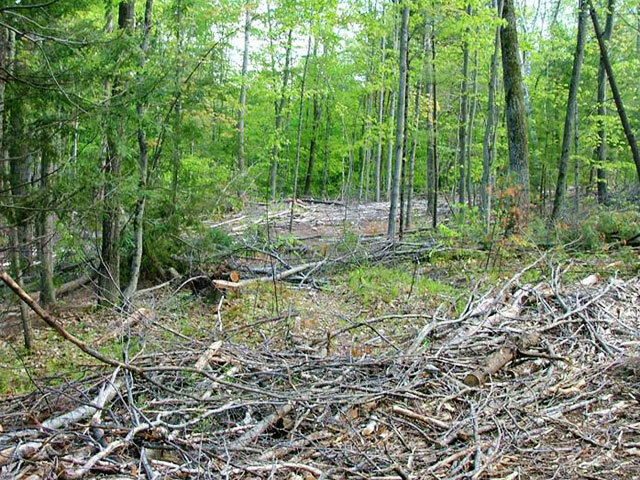 Encroachment of residential and commercial building has been named by the US Forest Service as one of the four major threats to our country’s ecosystem; approximately 40 acres are lost per day to development in Massachusetts alone. 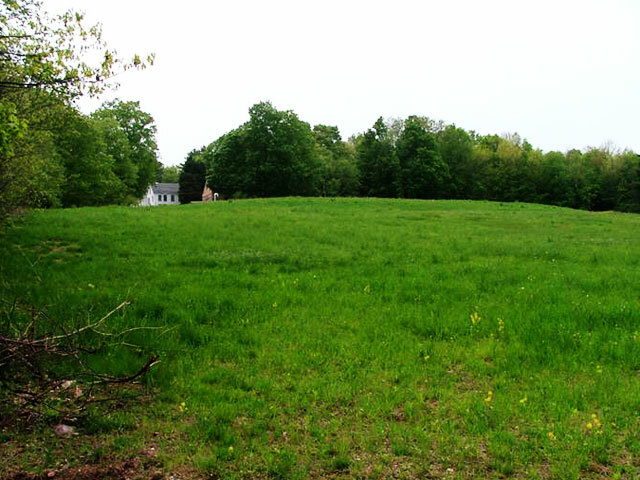 According to Bob Wilber, Director of Land Protection at the Massachusetts Audubon Society, the figure may be closer to 75 acres lost per day when creation of lawns, roads, parking lots, utilities and other aspects associated with development are factored in. Large expanses of open land that support ecological diversity and habitat stability are diminishing and conservation is as much about preserving continuity of open land as it is about protecting acreage. For example, conserving a single 100-acre land parcel will do more for the ecosystem than protection of 10 disparate10-acre parcels. Creative conservation efforts by diligent landowners and motivated land conservation agencies have helped to mitigate loss and fragmentation of open space. 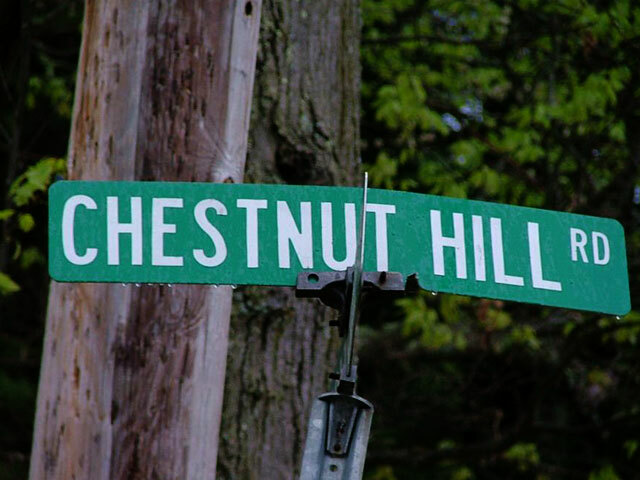 The Chestnut Hill Neighborhood Conservation Project (CHNCP) is an embodiment of a successful partnership among conservation-minded landowners that originated through their collective desire to protect land in their community. 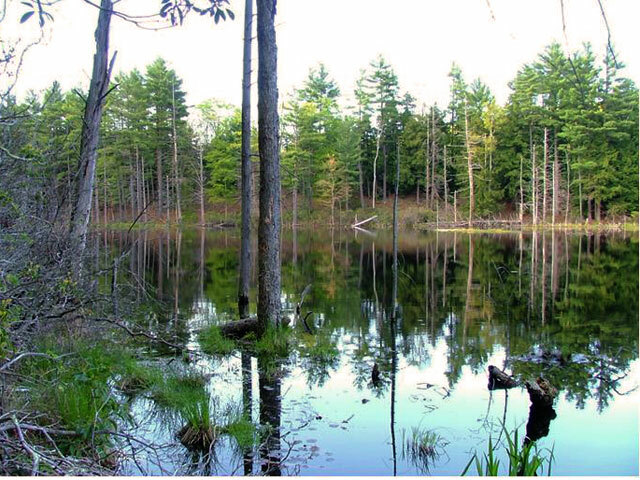 Working together with the New England Forestry Foundation (NEFF), landowners in the Chestnut Hill neighborhood, located by Lake Mattawa in Orange, Massachusetts, has successfully conserved over 500 acres of land over the past several years. 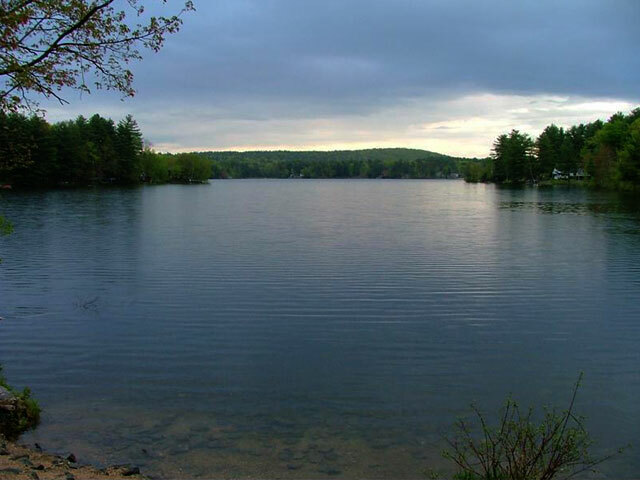 The neighborhood has also contributed to the creation of a continuous corridor of open land in central Massachusetts that someday could extend from the Quabbin Reservoir into southern New Hampshire. Working together has also enabled the Chestnut Hill landowners to foster a greater sense of community and encourage a local economy based on sustainable forest management for agriculture, timber, recreation and education. The donation of 75 acres by Jean Hankins to NEFF in 2000. 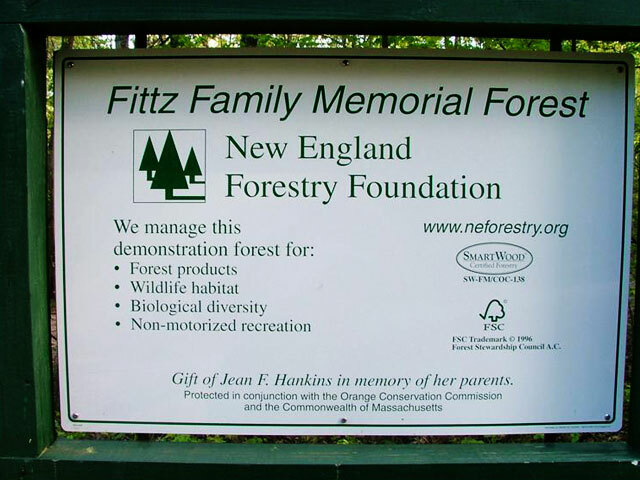 This land was named the Fittz Family Memorial Forest and is adjacent to other protected lands. It now contains the North Pond Ridge trail, which is part of a local trail system called the Chestnut Hill Trail network. The land is now protected from development and NEFF oversees the management of the forest as a demonstration site to educate landowners and the general public about sustainable forest management practices. The conservation of 120 acres by Dory Forster in 2001. 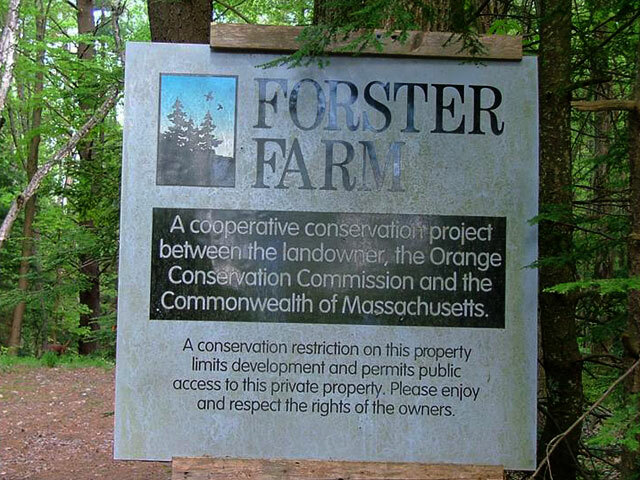 Dory worked with the Orange Conservation Commission and the Commonwealth of Massachusetts to protect her land which has been in her family since 1926. The Forster Farm contains 11 acres of open fields and is one of the largest surviving farmsteads in the area. 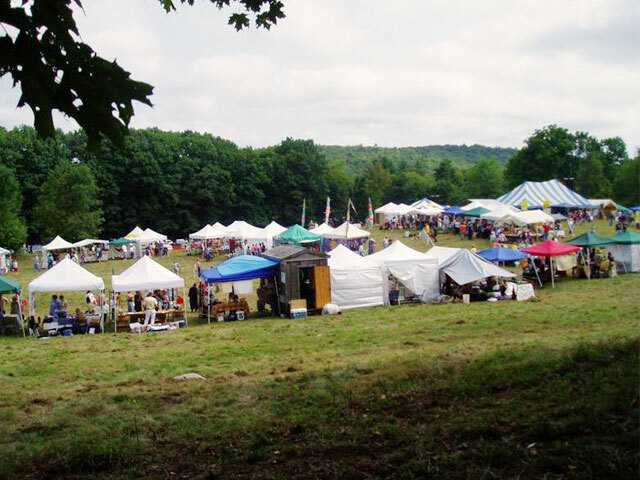 The fields are now the site of the annual North Quabbin Garlic and Arts Festival, which drew over 11,000 visitors in 2006. Protection of the Bullard Family Farm by Janet Kraft and Jean Hankins. 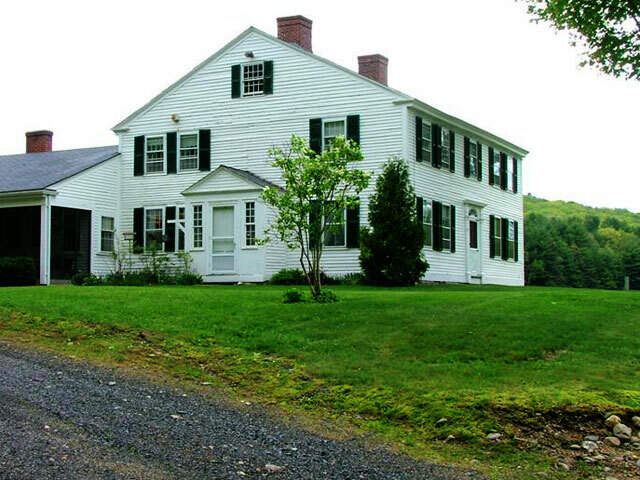 Janet worked with the Mount Grace Land Conservation Trust to protect the 300+ acre farmland and convert the farm buildings into a bed and breakfast and conference center. 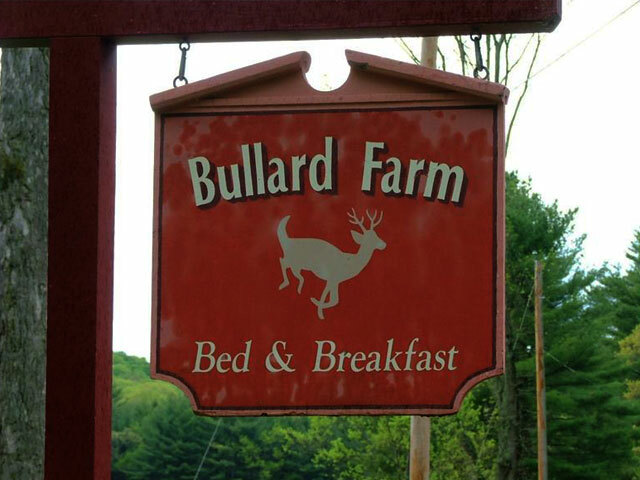 The farm as founded by her great-great grandfather Eugene Bullard as a timber farm in 1866. The CHNCP officially took shape in September 2001 with the vision and driving force of Bruce Scherer who became inspired by the success of the Tully Valley Private Forest Lands Initiative. The Tully Initiative, as it is more commonly referred, was a successful collaboration between the land trust community and state agencies to protect over 1,200 acres in the Mount Tully region, which resulted in significant de-fragmentation of forested lands in the North Quabbin region. The Chestnut Hill neighborhood landowners approached NEFF in September 2001 with the goal to protect 705 acres of their forested land across multiple parcels located on Chestnut Hill and North Ridge in the southwest corner of the Town of Orange. Since 1944, NEFF has specialized in working with private landowners and other organizations for the conservation and sustainable management of New England’s working forests. NEFF owns more than 125 forests covering over 22,000 acres of protected land and holds over 23,000 acres of conservation easements on more than 90 parcels. In the state of Maine, NEFF made conservation history by purchasing the largest conservation easement involving 762,192 acres of forests from the Pingree family (Pingree Forest Partnership) and, more recently purchased a conservation easement on over 312,000 acres of contiguous lands (Downeast Lakes Forestry Partnership). NEFF's founders believed the mission for promoting sustainable forest management of conserved land should include “managing forests to maintain and enhance the long-term health of forest ecosystems, while meeting environmental, economic, social, and cultural needs for present and future generations.” NEFF-owned forests are set up as demonstration sites to illustrate sustainable forest management practices that are “green-certified” and to encourage landowners to properly manage their woodlands. 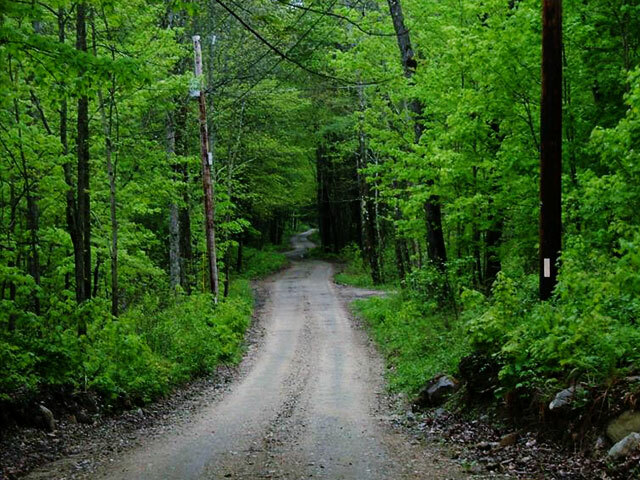 NEFF currently owns and manages over 600 acres of forestlands for timber, wildlife habitat, recreation and education within the towns of Orange, Warwick and Royalston. 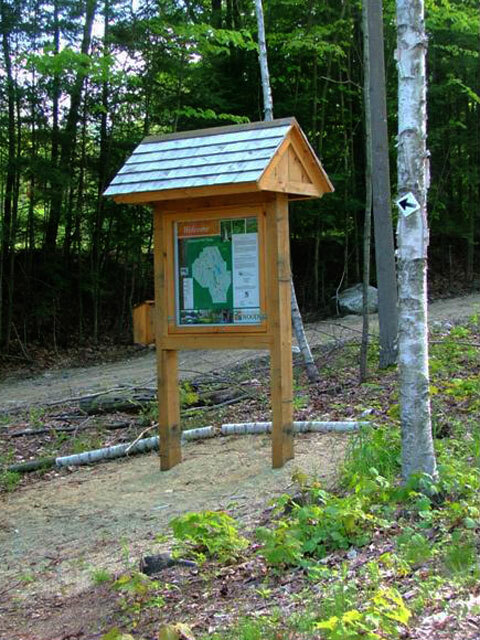 With a grant from the Ford Foundation, NEFF has created the North Quabbin Woods Project designed to revitalize the economy of the nine-town North Quabbin region by actively working with local landowners, woodworkers, and recreation businesses and promoting the sustainable use of local forest resources. Bringing a single piece of land under protection is often a complex task in itself with many personal and financial decisions to make as well as public and legal issues to navigate. “Do I sell my land outright or do I sell a conservation restriction? If I sell it who do I sell it to? Do I want to manage my land myself or do I want someone else to do it? Do I want to grant public access? How do I want my land used? What are the financial and tax implications?” And so on. The decision to put land under protection often requires a considered and thoughtful process before it can be made. Cynthia Wood Henshaw, Director of Community Forest Programs at NEFF, helped Chestnut Hill landowners understand the options available to them, guide them through the process of developing conservation and stewardship goals, as well as help them through the crucial nuts and bolts of managing the Chestnut Hill Neighborhood Conservation Project transactions. In addition, Ms. Henshaw helped landowners work their way through the sometimes counterintuitive process of making their case for conservation to public agencies. 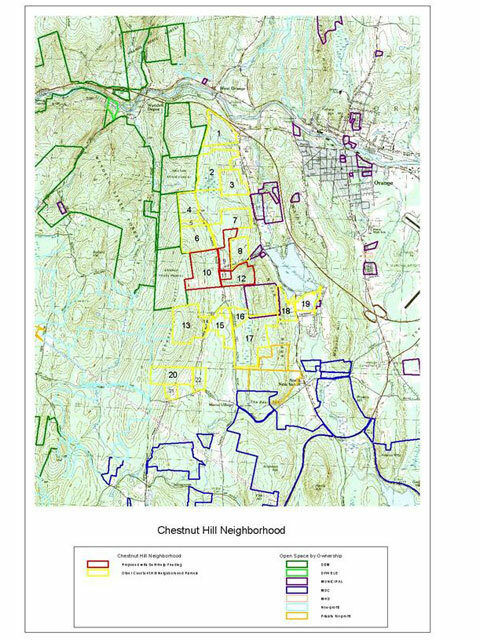 The Chestnut Hill Neighborhood Conservation Project is an example of a successful game of three-dimensional chess where multiple individual landowners’ interests, needs and priorities were juggled within the overall conservation goals of the neighborhood. Although the neighborhood is made up of conservation-minded individuals dedicated to their community and willing to join land for multiple uses, each individual landowner’s financial needs and priorities needed to take precedence and varied tremendously. The other challenge was how to secure enough state and local funding to bring the project goals to fruition. There were full-value purchases, bargain sales, conservation restriction sales as well as outright donations. The result was to structure a package that combined all of the individual land parcels into a single larger deal that conveyed greater conservation value to the state and resulted in more funding. The success of the landowners in partnering together to protect their land hinged on frequent, open, honest meetings with patience and empathy as important hallmarks. It was also important for landowner collaborations to recognize that different landowners have different levels of experience and understanding of the process of land conservation and stewardship. What may be fundamental to one person may seem clear as mud to another. For Chestnut Hill, decisions were made by consensus and all efforts were made to bring everyone onto the same page of understanding and involved with the decision-making process. The Chestnut Hill Neighborhood Conservation Project is a success story of grass roots community building, creativity, determination, patience, perseverance, collaboration and communication. Without any one of these elements, the project probably would not be what it is today. Because they are mandated to leverage limited funds to conserving as much land as possible, state agencies look for the ‘biggest bang for the buck’ in terms of cost per acre and give higher priority to projects with greater conservation value. Conservation value is not only about the amount of acreage protected – indeed land has ecological value simply because of its size – but also the overall impact a piece of land will have on conserving ecosystem function of a larger area. This can include proximity to a public water supply, degree of habitat biodiversity, cultural, historical, aesthetic importance as well as degree of contiguousness with other protected lands. 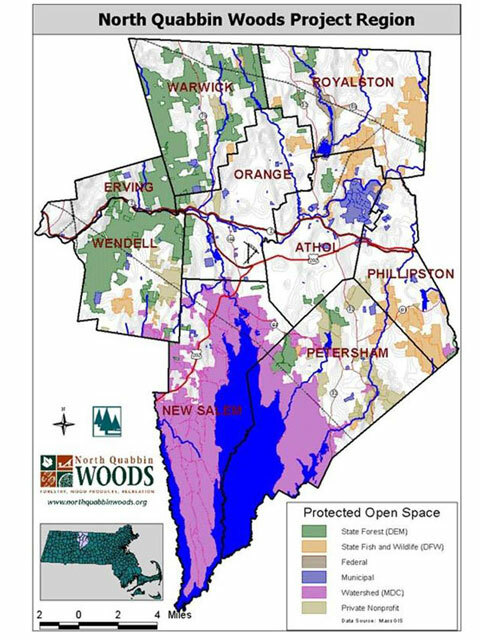 The North Quabbin Bioreserve, of which the Chestnut Hill area is a part, has been identified under the Forest Legacy Program (FLP) as one of the largest continuous tracks of forestland in southern New England. CHNCP’s was able to gain sponsorship from the North Quabbin Regional Landscape Partnership (NQRLP), which facilitates conservation projects in the region, and presents their individual parcels as a single package to state agencies. CHNCP used the fact that it was surrounded by other protected lands, such as the Wendell State Forest, Whetstone Wood Wildlife Sanctuary and the Orange State Forests as leverage. 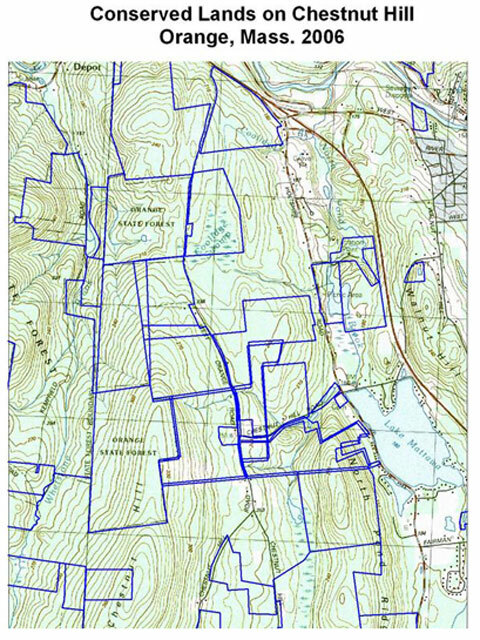 The Chestnut Hill landowners presented their land in terms of its overall acreage, but also its connectivity with adjacent protected lands and its contribution to protecting the North Quabbin corridor. “Getting their ducks in a row” before going before state agencies was a key part of their strategy to win more funding than would have been possible if the parcels were presented piecemeal. More land was protected as a result. 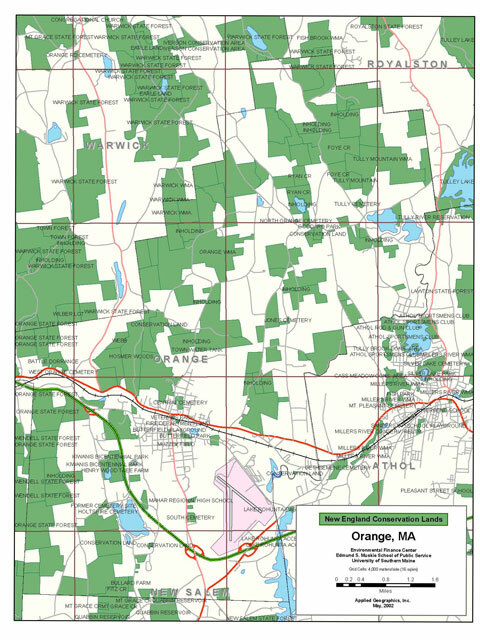 The NQRLP is comprised of 25 public and non-profit agencies, including NEFF, Massachusetts Audubon Society and the Mount Grace Land Conservation Trust. It was created as part of a regional plan developed by the state Department of Environmental Management, now the Department of Conservation and Recreation, in the mid-1990s. The NQRLP continues to work on land projects in the North Quabbin corridor in accordance of its mission statement to “identify, protect and enhance strategic ecological, cultural and historical open space within the rural landscape of the North Quabbin Region.” The NRQLP was instrumental in helping the Chestnut Hill landowners develop a strategic conservation strategy which forms an important part of their current efforts to protect additional lands in their neighborhood from development. Still, the Chestnut Hill neighborhood had to patch together several funding sources to secure enough funding to protect the lands in the project while meeting the unique needs and interests of individual landowners. Creative out-of-the-box thinking, such as holding land and combining it with other, more valuable parcels to increase its attractiveness, resulted in more funding leverage. Funding came from the State’s Self Help Grant Program, the Town of Orange, The Department of Environmental Management (now the Department of Conservation and Recreation), NEFF and various private landowner donations. In addition to conservation, Chestnut Hill neighbors are committed to their local economy. Through building the Chestnut Hill Trail network, holding education workshops and establishing an annual festival, the neighborhood has fostered a greater sense of community. With the help of NEFF and the North Quabbin Woods Project, Chestnut Hill landowners have also bolstered the local land-based economy by selling wood products and promoting ecotourism. Chestnut Hill landowner’s close participation with the North Quabbin Woods Project has resulted in synergies among artisans and landowners to promote a local land-based economy in the form of sustainable forest management for wood products and recreation. The Project is predicated on the idea that locally produced products will attract people to the area to support the local economy, learn about forest management, and take advantage of recreational opportunities. The North Quabbin Woods Project has a showroom in downtown Orange for an assortment of gifts and furniture locally crafted from the North Quabbin woods. The annual North Quabbin Garlic and Arts Festival is a two-day event of agriculture, food, arts, crafts, music and education workshops that happen in a friendly, family atmosphere. Like the conservation project, the idea for the garlic festival germinated from informal conversations among Chestnut Hill neighbors who wanted to sell products locally. 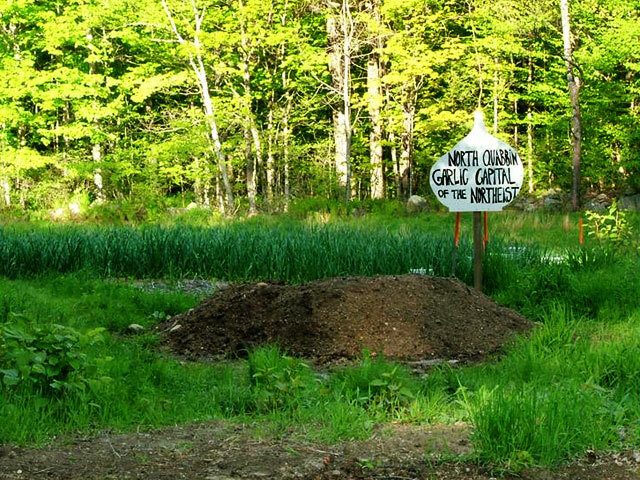 The North Quabbin Garlic and Arts Festival is held in the third week of September in the fields of Dory Forester’s historic land and sponsored by the Seeds of Solidarity Education Center, a 501c3 organization based at Seeds of Solidarity Farm in the Chestnut Hill neighborhood. Working in concert with NEFF’s North Quabbin Woods Project, Chestnut Hill neighbors have built the “Festival That Stinks” into a popular event that draws local craftspeople from the nine-town North Quabbin region and several thousand visitors each year. Local products are sold to support the local economy and people who come to the festival have a good time, buy locally-produced products and learn more about local conservation and sustainable forest management. 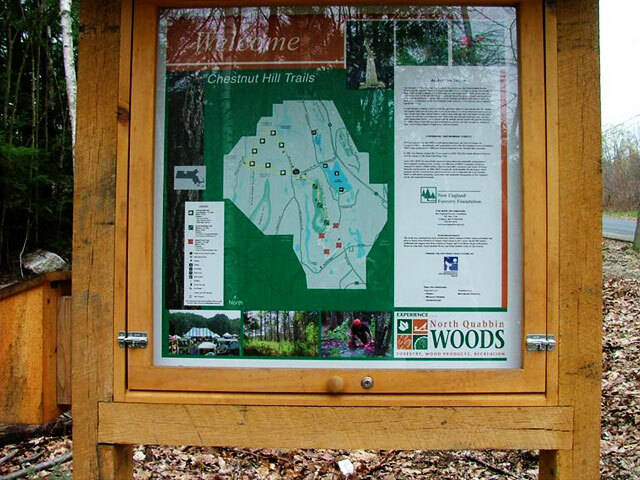 Chestnut Hill neighborhood members and North Quabbin Woods also established a network of trails designed to offer recreational opportunities to the general public. Along with the Student Conservation Association and the Massachusetts Forest and Parks Program, the Chestnut Hill neighborhood has created a trail network that includes the North Pond Ridge, Chestnut Hill and Bullard Farm trails. These trails offer a scenic hike through municipal, state, private and non-profit organization-owned lands. Hikers get views of Chestnut Hill Ridge and, in some cases, a first-hand look at timber harvests in progress. The CHNCP is an example of a successful grass roots partnership which, in collaboration with NEFF, realized a level of success that could not have been predicted. With the right mix of landowner skills, interest, and know-how, unexpected synergies developed. Landowners in the Chestnut Hill neighborhood working together, with private and state agencies and with NQRLP have created a ‘whole that is greater than the sum of the parts’ in terms of protecting more total acreage, contributing to an important corridor of contiguous open land, leveraging funding sources, and helping to revitalize their local economy. The fact that the CHNCP continues to conserve land after five years of formal existence is testimony to its success. Grass roots neighborhood groups are perhaps one of the most powerful ways that communities can begin to control development, increase continuity of protected land, and spread the word about the value of conservation. What can start as a single five-acre parcel of land for conservation can snowball into a larger and larger project as more people become aware and inspired about the value of conserving land from development and protecting a sense of community. Holding open forums and building interest and support at the local level are key ingredients for getting a group project started. There is a great story to be told about the value of land conservation. More people will become inspired as they understand more about conservation efforts, how it is really possible to realize important successes in the face of growing fragmentation and land conversion and learn that open space is important to our continued quality of life. You cannot predict the outcome of a group conservation project and the potential success it may have as a catalyst for inspiring others to join in the conservation effort. Landowner’s wishing to conserve land together will have greater clout with state and local funding agencies if they are able to package and present their individual efforts into a single, unified, and coordinated conservation transaction. The importance of getting political support in the grant process is important – even when land is being donated – one still must expect to negotiate the approval process. Developing informal neighborhood discussions about land conservation without a preconceived agenda can often be the most effective way to stimulate local interest, awareness and ‘buy in’ among local land owners. It is possible to accommodate a diverse set of needs and priorities among individual landowners within a group if there is an overall commitment to conservation and conversations are open, honest and inclusive. Your local conservation commission and land trust agencies are excellent sources of information about conservation. Taking the time to ‘do your homework’ in terms of learning about other local conservation efforts and learning about the myriad of conservation alternatives and strategies and about the many agencies willing to assist, is one of the best investments in time one can make when putting together a conservation project. It is important to hear all sides, answer all questions, remain cool-headed and be completely straightforward with all constituencies; avoid even the appearance of not doing otherwise throughout the entire process. Landowners can become uncomfortable when talking about their property rights; treading lightly and allowing them time to think through their needs, interests and priorities is a key part of the consensus-building process. Thinking outside the box is important for putting together land deals and for getting the financing needed to make deals happen in our environment of scarce conservation funding sources and increasing pressure of development. Make no assumptions of what people might know or not know – be sensitive and mindful of individuals going through this process for the first time. Collaboration and coordination with other landowners can result in a “whole that is greater than the sum of parts” outcome in terms of the acreage of land protected and amount of public funding received.